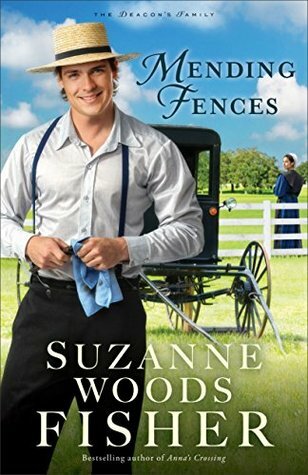 Mending Fences by Suzanne Woods Fisher is a charming and heartfelt read. I could not stop reading this novel. The story swept me off my chair and deep into the book. The main characters were engaging. I felt so much sympathy for the past troublemaker and the past victims. Their pain, loss, and grief felt so real. The road to forgiveness was a long one. But it made getting there worth following. There were a lot of things that needing mending before the healing could happen. Healing was much needed for both the perpetrator and the victims. The consequences of a young Amish man’s actions left nothing but fear, pain, and loss to his community members. However, they did forgive me him-as is their rule. But the true forgiveness and healing happened after he owned up and helped them get through the past. In a way that also helped the characters grow, learn, and understand what happened and why. Overall, I was truly taken in by the powerful messages and themes portrayed here. I fell in love with this story.